For real estate investors, there’s a lot to like about Dallas. First, it’s huge. Big markets mean lots of people, political clout, infrastructure and lifestyle amenities. Big also means economically diverse. All these things are important for long term stability. And speaking of stability, Dallas (and really, the entire Dallas-Fort Worth “metro-plex”) turned out to be one of the best economies and real estate markets going through the Great Recession. We don’t know about you, but when things are shaky, we think stable is good. 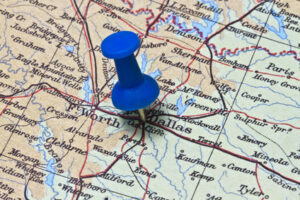 Dallas is the economic capital of Texas, although Texas has three other major metros that are also pretty strong. And while there are lots of industries there, we’re partial to energy and distribution. Why? Because it’s impossible to outsource those jobs and they bring money into Dallas from elsewhere. That’s always good for a regional economy. After having done many market field trips to Dallas, we’ve learned a ton. And we continue to monitor Dallas today.